I'm usually up at 5 am to get my workout, shower, and coffee time in before the kids are awake. Lately with fun summer schedules, staying up late and a few extra cocktails here and there, I've enjoyed sleeping in. Getting a new pair of sneakers or a new workout piece can be motivating! Pink Lotus is the answer! Whether you are interested in working out or really just looking for some comfortable loungewear, there are many options. The color of these pants that I'm wearing is gorgeous. So bright! And the front wrap detail is adorable. 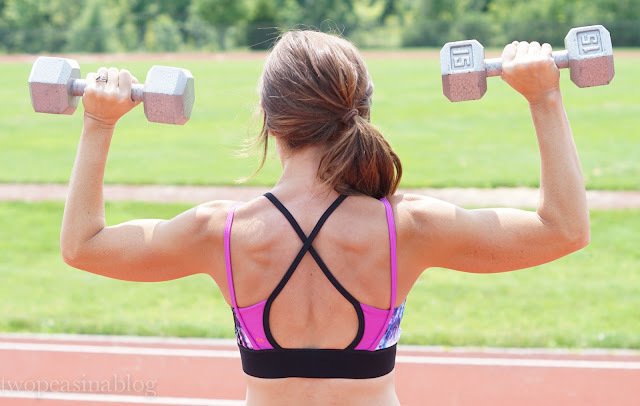 Look how cute the back is to this Ladder Back Sports Bra! This Be Free Tank immediately caught my eye. Love the back detail on this bralette! 1 - I have decided that I need to try a shirt dress. Can you believe that I've never worn one? I'm going to try something new! I've seen so many adorable shirt dresses lately. I LOVE this anchor print dress and the simplicity of this Belted shirt dress. 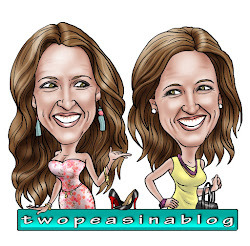 2 - I follow quite a few blogs! Lately, I keep coming across a common theme talked about in many of them - Gratitude. How often we get caught up in the little things in our life: one of the kids drops a cracker on a cleanly swept floor (WHY??? ), the laundry that is piling up, the feeling of always wanting more,etc. It can be exhausting and really take the fun out of life. I know I'm guilty of this. I'm always reminding the kids to have a grateful heart and appreciate what they have but sometimes I forget. My biggest area is the feeling of always having to clean the house. It's ok that occasionally the game they were playing didn't make it back to the closet, or the shopkins figurines are still spread out on the coffee table. Yesterday the kids and I left the house in it's "un-kept" state and ventured to a new pool for some fun. It was a blast and exactly how summer should be. The only thing that would've made it better was if the Mr. was with us. 3 - I know we're a little late to the Ninja blender party but we finally got one. This Nutri Ninja Duo is amazing! Last night it was Milkshake Mania at our house! I can't wait to try this Tropical Green Smoothie! Do you own a Ninja? What's your best healthy smoothie? Those pants look so great on you! I've never heard of this brand. Definitely going to give them a try! Yes you should! Such fun colors and designs. I haven't heard of pink lotus before, but am definitely a fan now! That sports bra is so cool! Thanks Hannah! I think so too! The back is so fun and unique. Nice job on getting the workout done early! And I never heard of Pink Lotus so I will definitely be checking that out! Looks amazing! Pink Lotus is new to me, so I'll have to check them out! I also need to hop on the Ninja bandwagon!! Yes! You should check out Pink Lotus. Cool things! Oh my! We have made soooo many smoothies and milk shakes over the last 2 days! So fun. Hats off to you... I cannot for the life of me get myself up that early. I barely sleep and don't think I could make it through the day! Lol but I know, if you want something bad enough you'll do it... maybe one day I'll get there! Thanks Samantha! It's my quiet time before the kids get up and the crazy busy day begins. Never heard of pink lotus, but I am checking them out now!! I don't have kids, but I get up around 5:30 to do blog stuff, work out, and get ready before work, so I understand. 1) I cannot believe this!! They are my go to! 2) Yes- I try to thank god in little prayers throughout the day. one of my most common is walking in my apartment after work- I am always thankful for being able to afford it, but lately it has been that I'm thankful for air conditioning! 3) Ninjas are great! My bf has one. Whoaaa talk about a gun show! ow ow! I hadn't heard of this brand before, but I am constantly on the hunt for new workout brands - definitely checking them out! Thanks Victoria! Lot's of push-ups! hehe. I'm really loving this brand. Fun and unique. Great workout outfit!! These is nothing more motivating then some cute workout great! You look great girl!! In love with the detailing in that sports bra! Thanks Darcy! Isn't it fun!? 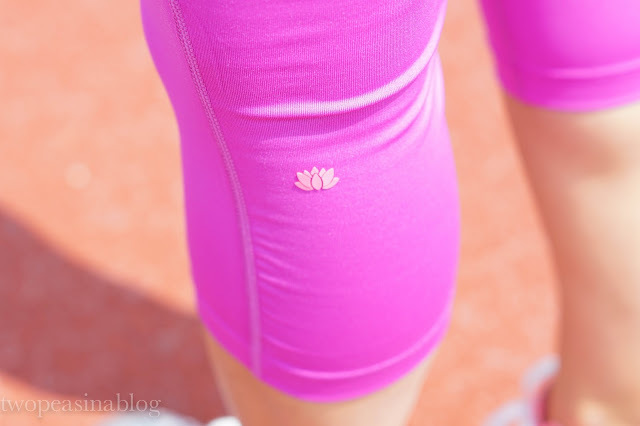 This is such a cute workout outfit! I don't really spend too much on workout clothes because I feel it takes away from regular clothes and I'm just going to get dirty anyway - LOL. I did recently buy a cute new pair of capris though that I am excited about. You look amazing and I cannot believe you have not tried a shirt dress! My fave! It's a little hard with summer in full swing but I do enjoy working out! Girrrl you look good! Love the athletic pants! If those pants can't get me to work out, then I don't know what will-ha! Ha! Fun workout clothes do make a difference!! Super cute workout outfit and you look amazing!! Love thought #2 and I couldn't agree more. first off, you look freaking amazing! second, love the cute workout wear! I LOVE pink lotus! This workout gear looks so fab on you! I love those leggings! 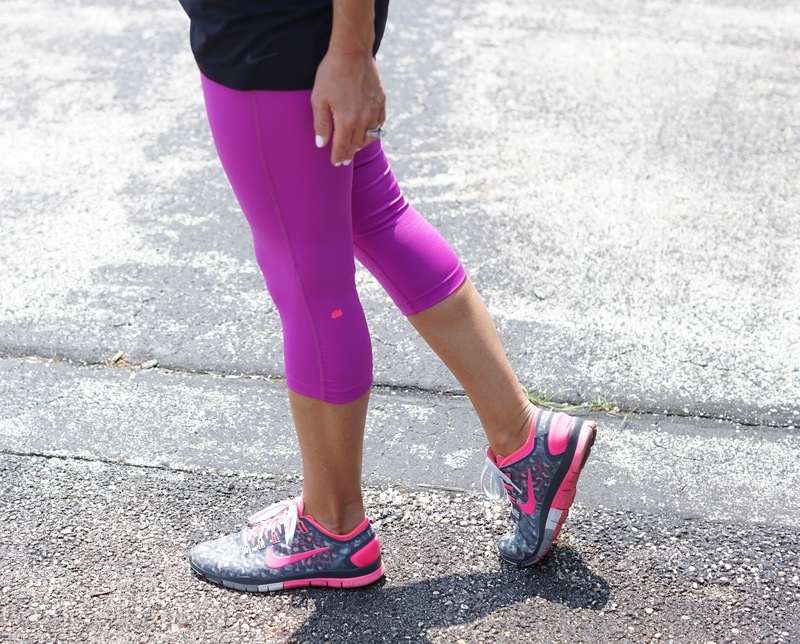 I love your nike sneaks and of course, those leggings are such a fun color for the summer! I needed this motivation!! I've fallen into a "I've got so much going on/exhausted/one too many ice cream cones rut." I am guilty myself of having small meltdowns over the littlest of things, but I'm working on it! I absolutely love this gear and you look AMAZING…holy arms and holy back girl!!! And I couldn't agree more about "gratitude"…something we all need to focus on much more!